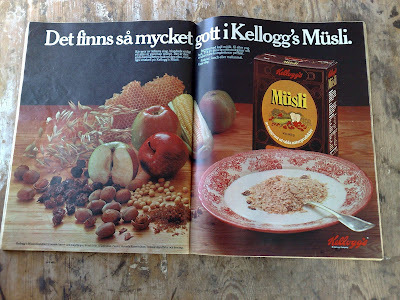 This morning @Kulturtrends posted a link to Aisle One who have published a series of 1960's and 1970's Scandinavian logos. 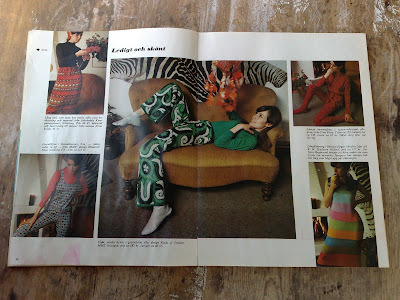 I think these are interesting but would be even more so if they were seen in context of advertising / editorial. 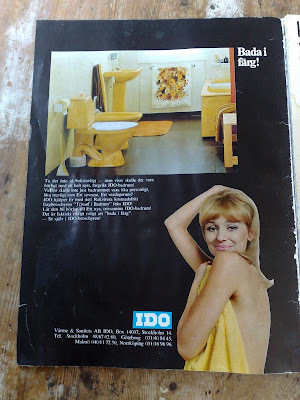 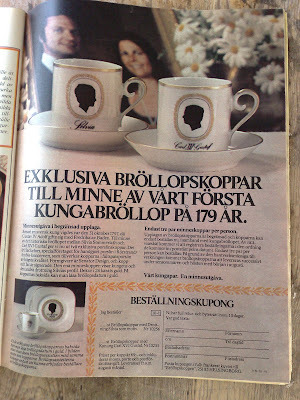 However, I have my own examples of old Swedish ads as I recently found some ageing Swedish home interest magazines - and the advertising is fascinating (click on any picture for a larger image). 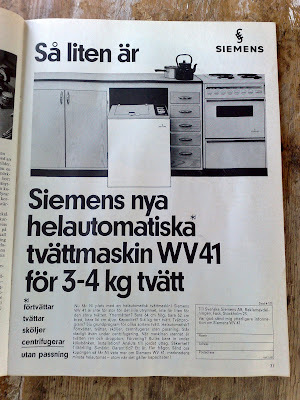 This isn't necessarily the sort of thing that I would normally post, but I'm not sure Adland archives go back to 1957 - and rather than let these ads stay in a remote cupboard in Sweden I thought they should be highlighted to a wider audience......comments welcome! 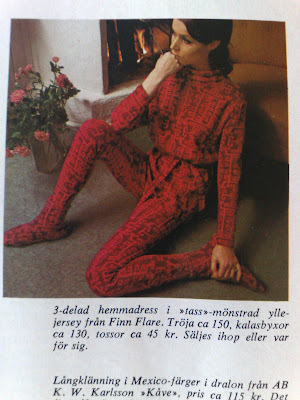 The fashion in those ads look like some of the gladrags American Apparel are selling right now. 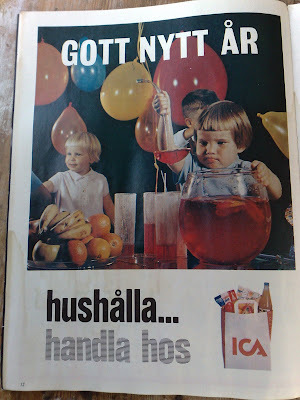 So brand new, they're retro? 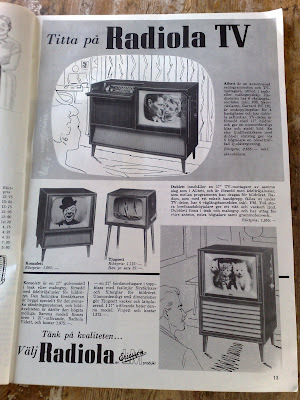 Maybe - though I'm not sure the Radiola TV radio combination unit will be coming back any time soon!